This blog is about all of the things that I'm interested in. 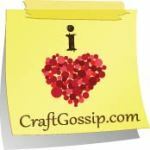 Quilting, mixed media, finding bargains, refinishing items, decoupage, ways to save money, etc. Thanks for dropping by and leave a comment. Winners of the Give Away!!!! Joanne is the first winner and Fiesta is the second winner. I have e-mailed both of these ladies so I'm awaiting addresses to mail their goodies. This is something that I've been doing but I didn't do this one. Found in on the Internet. 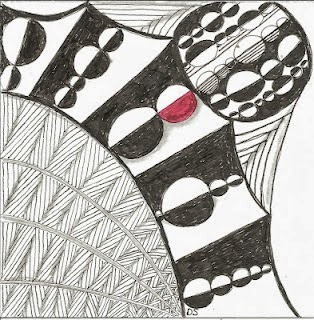 Zentangles are very popular at the moment and it's just a form of "Doodling" and I've been a doodler all of my life. Anyone else into this? I hope that I can continue to keep up with the savings and right now I've put in $204.00. At week 18 if I followed the schedule I would be at $171.00. Still trying to put extra in for all those heavy weeks ahead. I still think this is a fun way to save. Check out the Giveaway that I'm doing!! I know that I'm late getting this up and I hope everyone will forgive me!!! The last month has just been crazy. I don't travel very much and that's all I've been doing. One more trip next week and I should be home for a while. I started 5 count them - 5 projects when I was in Wisconsin and the classes were too short to finish anything so I still have those in bags that are not unpacked. I loved all of the classes but feel so disappointed that I can't get back to them. I want to thank Sheri for doing all of this work to put this Hop together and everyone else on the schedule. I made a Pile O' Pumpkins Wall hanging following the directions in Fons & Porter Quilting Celebrations Fall 2013. The pattern is on page 21 and all of the patterns are in the magazine. 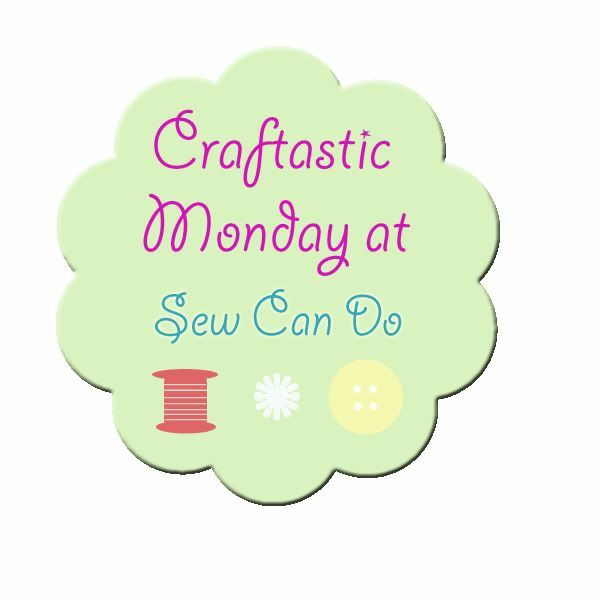 Our little Monday night quilting group did this a couple of weeks ago and it was a lot of fun. This is the Wall hanging on my design wall and yes it needs to be finished. Here is the page and the magazine front with this wall hanging. This magazine had a lot of cute Halloween items and I think my money was well spent on this magazine. Sometimes there is only one thing you want and feel it's a waste of money! Now for the Give Away!! I'm going to give the first winner a yard of this fall fabric and the Fons & Porter Scissor Safety Sheath. The second winner will receive a yard of this fabric. There will be other goodies for the winners! Leave a comment telling me your favorite thing about fall and that will be one entry. Follow me and that will be another entry. Make sure and let me know that you followed me so that I can get your entries correct. 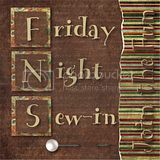 Thanks for stopping by and I know the others put me to shame but maybe I can slow down soon and just sew!!! It's been crazy the last few weeks!! 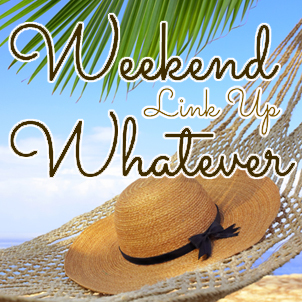 But after this week-end it will be better. 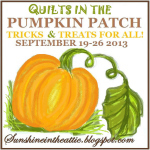 Please click on the Pumpkin and take a look at the Blog Hop. I'm up on the 24th and I will have something I hope is special and I'm also doing a GIVEAWAY!!! I'm going to post some photos today as I am leaving on another trip in a few hours. This time I'm off to Nashville Tennessee for a four day conference. Then I'm hopefully home for a while!! I've really been having fun! I can't wait to tell you about each of the classes that I was in. I signed up for 5 and loved them all!! I did take a class with the quilter of this last photo; Freida Anderson and she does wonderful work. 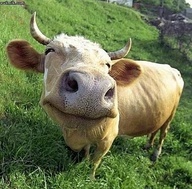 Don't you love the smug look on this cows face? Well I'm not smug but I wanted to keep updated on my savings. I didn't post last week as I didn't have any cash so this week I made sure I had cash and I've added $30.00 which bring my total to $104.00 instead of at week 8 it would have been $36.00. I still think that this is a smart idea so that the back side isn't so costly. Now I'm going to take this and put it into the bank as I don't like a lot of cash hanging around. Too tempting!! Plus I'm going to put it into an account that is seldom used. 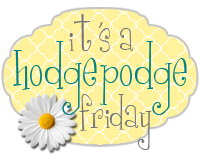 I've had a good productive week-end and I hope you have too!!! This is about my life with fabric, bargains I find, items that I redo with paint, and just anything interesting that I like. 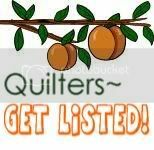 My goals is to become more of an art quilter and I like traditional quilts but I'm not traditional. At least about quilts. judyk2310. Simple theme. Powered by Blogger.